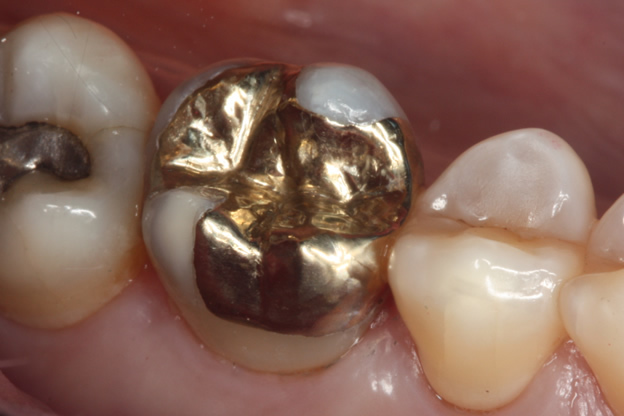 Last month’s root canal is almost complete, it only needs to have a proper filling installed in the middle of my pretty gold onlay. It turned out my roots are tiny, curved with cute little bends at the ends, and one root had two canals (Surprise!) so two sessions of grueling endodontal procedures. A reclining position accentuates the viscous post-nasal drip that I usually ignore, but that pretends it can ooze down to clog my windpipe. With my mouth propped open to effectively prohibit gasping for breath through my mouth, panic increases in tiny increments. I retreat into an infantile version of myself. 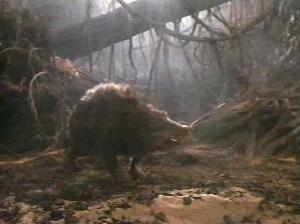 Like a baby strollered through The Fire Swamp, I trust I will survive. For two of the three appointments I have forgotten to bring my cell phone, leaving home in a hasty fury like a swarm of bees. Fortunately I have loaded my antique iPod with my favorite tunes, next time I’ll leave out the dance numbers. The music has spared me most of the technical discussion “a number 4 please” and if I close my eyes I don’t see the array of tiny drills, miniature brushes and vacuums, the wicked thingies that make everything hot or stinky. Now my jaw is sore, my hands are cramping from holding onto the chair for dear life, and I think my forehead muscles are sprained from frowning and wincing. Sorry, no photos. A consolation photo of me playing Scrabble while Dobby grazes. A fanfare for the next topic! Six years ago, during major and sudden ceiling repairs, I took out the funky useless fan and made a space for a chandelier. I couldn’t find one I liked, except for one made in England that doesn’t do shipping. So I made my own. My handy-neighbor hung it and my life is now complete! Check out the reflections! Most of the glass was my grandmother’s, silver spoons were my mother’s, miscellaneous kitchen tools and worthless items are mine, of course. I managed to convince The Bartender, one more time, to help clean Dobby’s Swimming pool. It’s a couple days of draining, a fish rescue, a couple days of scrubbing, an overnight to refill. Oh, and two months of looking for the pump drain plug. It was still in the pocket of my winter jacket. The weather has been reminiscent of my early California summers, but I suspect that is the reason for the devastating loss of fish this time. The reflection makes it hard to figure out what you’re seeing, but along the top arc you can almost see my beautiful goldfish. RIP my pretty ones . . .
A half dozen rescues under my belt and I have lost only one fish before, the overlooked victim of a bailing accident. This time I ended up with a stack of magnificent corpses, like carnival sardines or a horrific serving of sushi. You can’t tell me they are only 29 cent goldfish, I am heartbroken. Two lovely beauties remain, joined by several very vulnerable tiny newcomers who just better learn to swim deep, beyond the Mallards who immediately moved back in. The water is so clean I can see duck poop on the bottom, maybe it was better when the water was opaque. At least they look healthy. My broken pipe repair is holding, but I fear for it and expect the pool to suddenly empty overnight when it is most inconvenient to re-think my methods. The too-expensive-to-replace-filter has been hosed down, per specifications, but the pores are so clogged with teensy bio-debris that circulation is minimal. A very lazy 3/4HP pump. And so the water is already fuzzy. Dobby went swimming as soon as I took down the barricade! 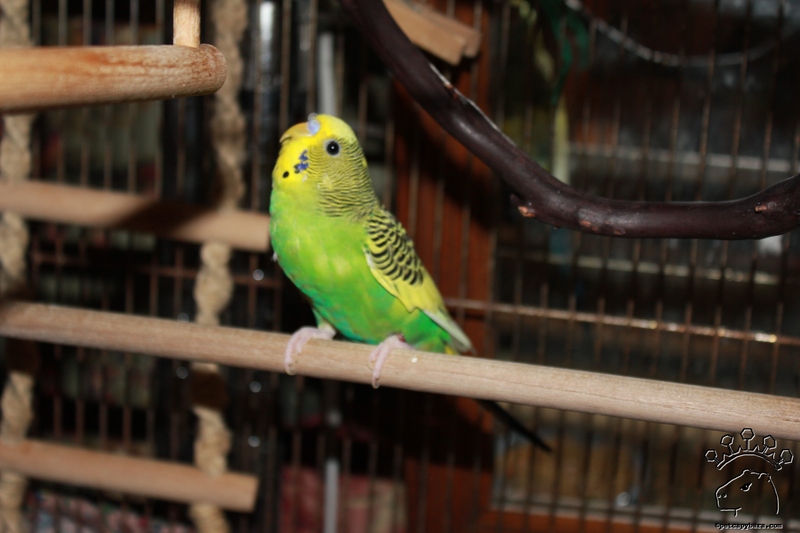 A month ago, I took in a pair of young budgies from the Petco “back room.” Like Spike, they had been treated by the veterinarian, were ready to go home, but could not go back out to the main floor for sale. The staff was thankful to have them come here because even after treatment, they are probably weak birds and the store is reluctant to sell them as certifiably healthy pets. Spitfire seems to have completely recovered from her ear infection and is all girl, a biter and a fighter. Poor Tank is still pouffy a month later. I have re-treated him through two more courses of antibiotics, tried a couple herbal remedies, probiotics, minerals and amino acids, special foods, and dandelion greens, fresh-picked twice a day. I got out my old copy of Stroud’s Digest on the Diseases of Birds and marveled at his diligence. I understand why the vet treated him and released him. Even though he has looked pretty rough a few times, I am amazed every morning I find him still alive. He lost a lot of weight, but has now started to eat everything in sight, so we shall see. A hungry bird is usually a bird on the mend. Tank’s a sweet bird so I hope he and Spitty will soon leave the infirmary and join the feisty flock in the kitchen. My recycling bin is right outside Dobby’s kitchen door. Lately, when I toss out the empties, I have to be careful not to bonk the Possum that hangs out in there. He and his buddy come around to annihilate Dobby’s leftover corn cobs. They shred those cobs and leave little piles of cob sawdust. What in the world are they eating? The squirrels efficiently extract every kernel, then the hens perform a quality control check, and when the flock is put to bed, the resident mallards check over the cobs one final time. There can’t be any food left in them. The duckling story is increasingly complex, and probably incomplete. I will wait to see if the story has an ending and then I will write it up separately. It’s kind of like the Funny Farm version of the Memphis duck parade through the lobby of the Peabody Hotel. In this photo, the ducklings are in the pond next door, sitting on a log in the center of the picture. Dobby has been a good boy lately, and I must face the fact that his kitchen protest statements are weather related. A rainforest animal who doesn’t like rain. Terrific. He is a funny guy, though. We played the Poop Game today, a game he always wins. I clean his pen, flush his Good Boy down his handy outdoor toilet. Returning to put away the scoop tools, I see him proudly indicating a fresh pile. He’s pouffy, nose nearly touching his product. I scoop it, flush it, and return. Pouffy again, there is a second pile, nearly as magnificent as the first! He’s pouffy and this time, he’s wiggling his ears. I praise him (it’s outdoors, at least) scoop and flush. Returning for the third time, he’s pouffy AGAIN! The last one is smallest, like an oversized Hershey kiss, listing to the west like it had too much sun. The “kiss,” I know, is the last, and so it was. Such a fun game, and I want you to know he made it up by himself. I HAD NO PART IN IT. Sheesh. What a guy. Sorry, no photos. Consolation duckling photo: Ms. Mallard and 5 little ones, a couple steps from my front door.